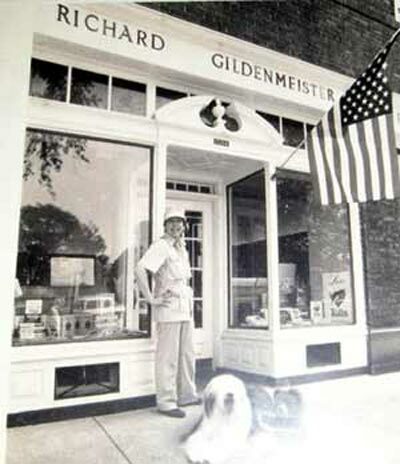 In a small farm town 75 miles west of Cleveland, Richard Gildenmeister was born. From the very beginning "Cleveland was my Big Apple." He remembers coming to Cleveland at age 9 to see the Christmas lights and driving down Euclid Avenue. "I had heard about Shaker Square and I wanted so badly to see it. We drove around and found it and I instantly fell in love with it. I never thought some day I would live there - it was just a dream." His mother often told his father "There is nothing worse in this house than a bored Richard" and he concedes that it is true. He will always find something to get into - his energy level is too high for him to stay bored for long. His parents would often send him to his grandmothers' farm to work grading eggs, and he loved being on the farm. While he was in High School he spent a lot of time there and remembers taking cattle to the Ohio State Fair. He showed milking shorthorn cattle and took the blue ribbon. 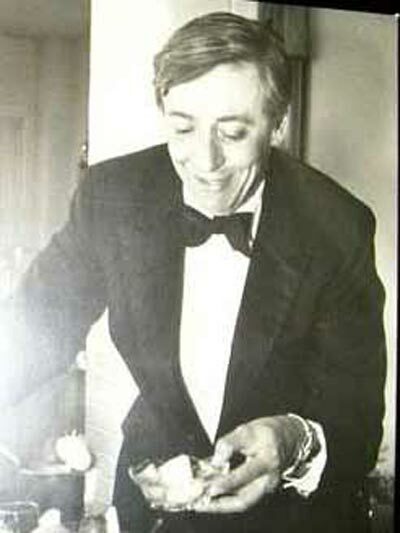 To this day Richard is never at a loss for things to do; his plate is always full of opportunities. He has a tremendous amount of energy. "God gave me the talent and strength to work hard so I must use both." Richard says he was trained by his mother and father that he must give something back and "you can't do that by sitting at home." His parents were a steadfast and guiding light for him. His father sold Model T's and Model A's at Gildenmeister's Auto Market. "My father always said "be kind to Richard because he's different." He has an older brother, Charles who became a stock broker and his sister, Jacquie Meek who lives in Norwalk, but spends much of her time in Florida. "Jacquie is my very best friend!" Richard was the baby of the family for 14 years and then his younger brother Douglas was born. Richard is a graduate of Bellevue High School and Capital University in Columbus. 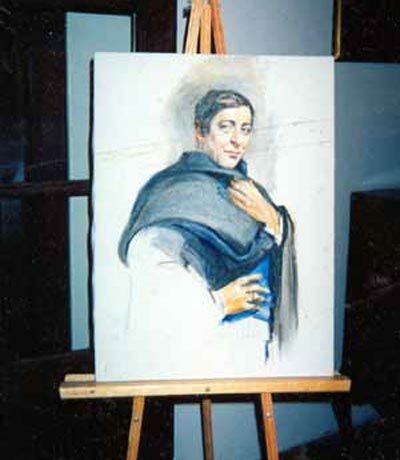 He lived in Capitals' Seminary for three years with thoughts of becoming a Lutheran Minister. He felt drawn to the social outreach but wasn't sure if he was truly cut out to be a minister. He received his BA in Speech with a minor in Psychology "and I was drawn to all of the social science courses." At age 19 he took his first trip to New York City and remembers telling some people there he would love to accompany them on another adventure, but he had to return to Bellevue. He of course meant his home town, but in New York City, Bellevue refers to the famed mental institution. Richard remembers speaking to a friend who worked in the Interior Design Department at the Higbee Store in downtown Cleveland. His friend suggested that he come to Cleveland and apply for a job at the same store. "I had a flash. I knew I was not going to be a minister" and decided to go to Cleveland. It was Labor Day, 1955 and his mom dropped him off at the station. "I took the old nickel plate railway from Bellevue and went for the interview." At the time, Cleveland was the 6th largest city in the country. "I thought I had died and went to heaven. I got a room at the Y at 22nd and Prospect. I had two suitcases and $10.00 and I still haven't gotten over it!" He walked from the Y to Higbees on Public Square ("The greatest walk of my life"). "I always note the milestones in my life by books. Auntie Mame and I came to Cleveland together." He was put into the Junior Executive Training program at Higbees, where "they had wonderful training courses so you could really assist a customer." He was assigned to men's neckties, socks, hosiery and underwear. That is until one day when they needed someone to help in the Book Department. They needed someone who was accurate and could process orders quickly and efficiently. That description fit Richard to a "T". 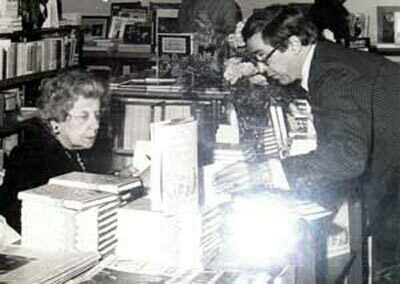 He went to work in the book department under the internationally known book buyer, Anne Udin. When Dr. Seuss was boycotted because it wasn't taken seriously, she ran with it. She is the person responsible for the first ads for paperback books, also looked down on at the time. Every night she would tell Richard what a wonderful job he did that day and he was "simply in heaven. It was my element." Once again a friend's situation affected Richards. His friend was an apprentice at the Cleveland Playhouse and there was housing available for "Playhouse people" on East 87th and Chester/Euclid, which was a beautiful and active neighborhood. Richard moved in. The entrance was up a fire escape and directly into a bathroom and there was a chess board painted on the floor. The chess pieces were spray painted beer cans. There was nothing like this in Bellevue,Ohio! He continued to work with his love - books, under the watchful eye of his mentor, Anne. When Richard was still in Bellevue he would come to Cleveland for the Art Museum. He saw his first professional theater production in 7th grade. It starred Judith Anderson. In college he ushered at the Hartman Theater in Columbus. There he saw the original cast of Porgy and Bess as well as Katherine Hepburn in As You Like It, Tyrone Powers in Dark Is Light Enough and Shirley Maclaine in The Pajama Game. It may have been here that Richard honed his appreciation for drama on and off the stage. What intrigued him most was the business of books "I adored it then and I adore it now. To have someone ask for a recommendation and then come back and say they loved it is just so special. It makes me happy that my recommendation made them happy." It was back in the 1950's when television was first becoming popular and people were afraid that reading would be replaced by watching that Richard first knew the importance of advertising. "Putting the author together with the book and selling the package was the way to go." It has certainly worked for him. He has a great memory for detail and a photographic memory. "I have a 6th sense about books and people. So it is natural that I would out them together." Richard spent 18 years at Higbees, the "longest apprenticeship in history," and he stood the entire time. "I will walk out of a store if the clerk is sitting down. A clerk is there to serve the public and you can not do that if you are seated." He admits his standards are high but he is proud of that. He says there are things that need to be learned and he has learned them. 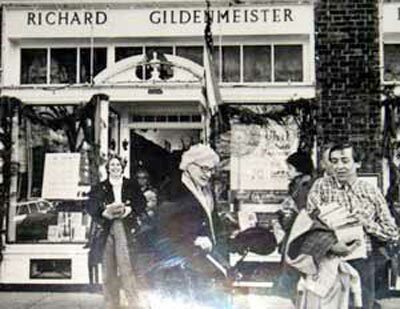 It was on December 10, 1976 that Richard opened The Richard Gildenmeister Book Shop and he remembers every moment of the opening. "It was the greatest moment of my adult life." 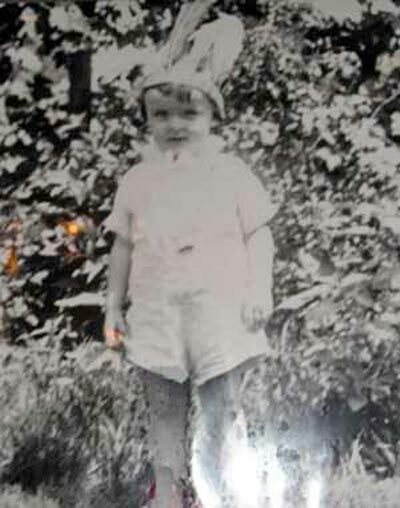 It was right on Shaker Square, the site he dreamed of as a child. He received good wishes from around the country. Barbara Walters sent him note stating this was "the best news to come out of Cleveland in a long time." Mayor Perk came to the opening and gave a proclamation from the City. One of his favorite friends, Dorothy Fuldheim came in "black silk slacks and a white ermine coat" and cut the ceremonial ribbon. His whole family came for the opening. It was a proud day for Richard. His life partner, Jim Haley, brought him 2 dozen red roses. "I had a great companion for 18 years. Every Saturday of our life together there were fresh flowers by my bed." 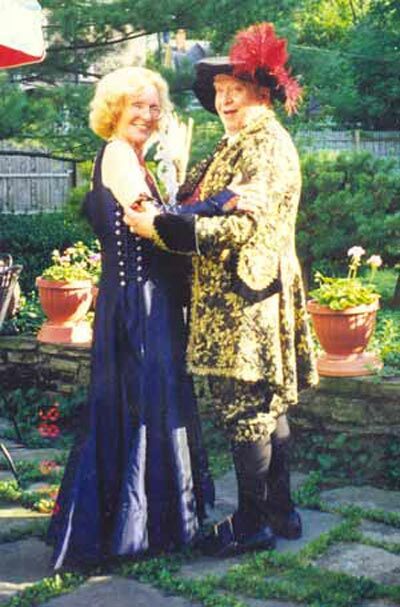 But the relationship ended when his companion succumbed to dark depression and took his own life. 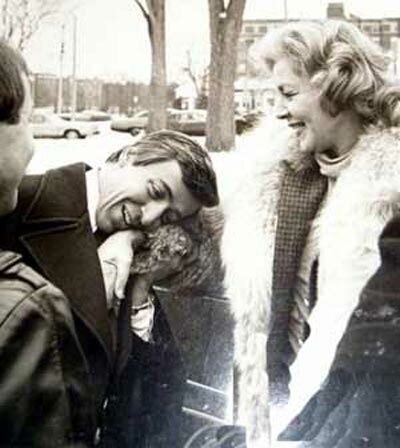 It is a memory that still brings tears to Richards's eyes. Richard's bookstore closed in 1982 mainly because Shaker Square was not up to par at the time and everyone was moving further east. 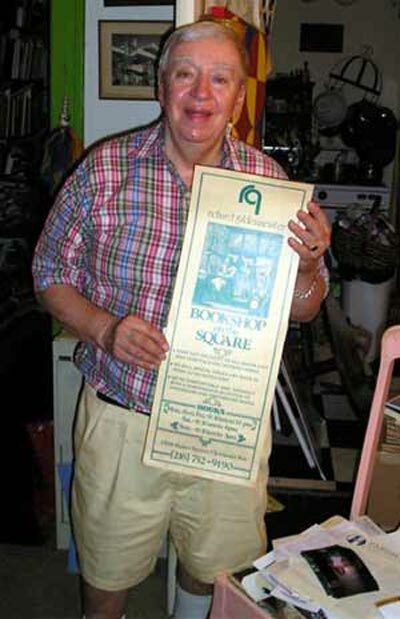 His store had always been a beacon on the square and its closing was difficult for everyone. He recalls how two young girls would terrorize his shop every Friday. They were relentless. But he never threw them out. After all, they were just children. Less than 6 months ago Richard was in a grocery store line and a young woman approached him, asking if he was Richard Gildenmeister. As it turned out, she was one of the little girls and she wanted to apologize for what they did. She asked if there was any way she could make it up to him. Richard responded with a hug and told her "You owe me nothing. I'm glad you are having a good life." 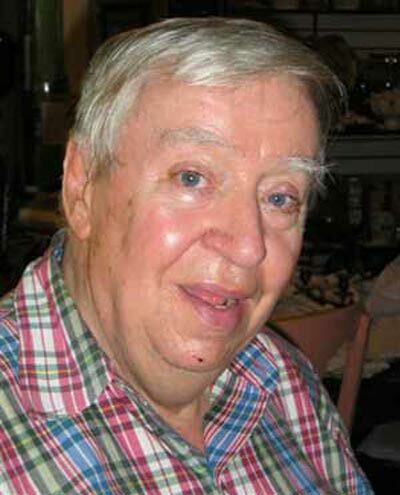 His time there as well as at Higbees before and now at Joseph-Beth at Legacy Village afforded him the opportunity to meet many famous people. 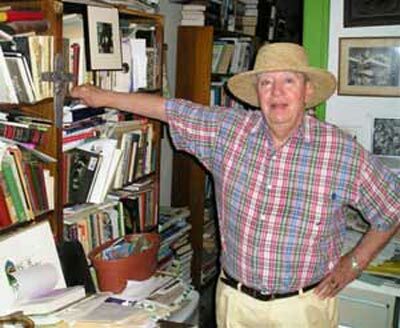 He points to a chair in his living room and says that Robert Ludlum sat in that chair "and drank quite a bit." Ansel Adams was in his apartment and Richard took him to The Wagon Wheel for dinner. Among his other famous visitors there were Lana Turner, Dorothy Lamour, Rita Hayworth and Bob Hope. 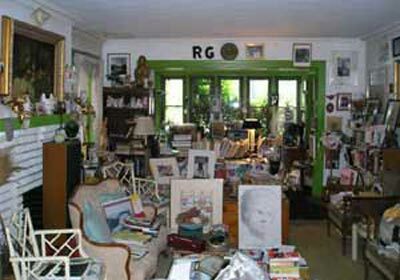 His store was the only store selected to have Lauren Bacall appear in person. 992 of her books sold! 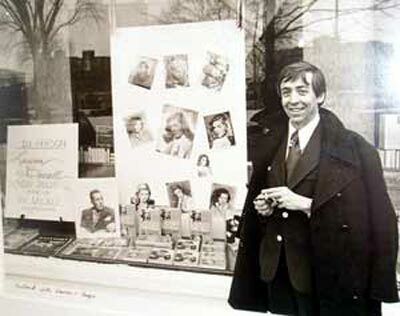 Richard had the store decorated with posters of her and Humphrey Bogart. As she got out of her car wearing camel wool slacks and a full length lynx coat ("She looked gorgeous!") Richard remembers her saying "Don't you think you overdid it sweetie?" Even his mother, Corrine came from Bellevue to see Lauren Bacall. Corrine had her hairdresser drive her from Bellevue. Lauren Bacall never traveled anywhere without her hairdresser, so, of course, when Richard introduced them, he pointed out to Ms. Bacall that his mother also "travels with her hairdresser." Lauren Bacall wanted to drive around Cleveland and wound up in the projects. They went into a dumpy, rough bar where she stayed until she had to go to the airport. "She could have gone to a fancy party, but chose the real world instead." He received a visit once from someone who said she was Christina Crawford, daughter of Joan Crawford. It turned out it really was her and she was there to sign Mommy Dearest. Among his collection of signed books and photos is a book signed by Charles Schultz, creator of Peanuts. "I always wanted to get him at a book signing but that was very difficult. Finally they got tired of me and sent me A Dark and Stormy Night signed Happy Birthday Richard from Charles Schultz and Snoopy. Imagine!" He recalls being invited to the very posh 24 F Street Club in Washington to a dinner party with Anne Morrow and Charles Lindbergh. "I quite literally pinched myself and thought My God! I'm a long way from Bellevue Ohio!" Of course he brought a book with him and Lindbergh graciously signed it "And he actually put his arm around me too!" When James Michener autographed a book for him it read "Book General, keep the armies moving." Then there was the time Robert Kennedy came into town. John Kennedy was running in the West Virginia primary that day. Richard took him to WEWS to do the 1:00 Club with Dorothy Fuldheim and Bill Gordon. Of course Richard had Bobby's book with him and vividly recalls Dorothy (his very good friend) throwing the book and saying "For God's sake, He's not here to talk about the book!" When they left Bobby was walking a few feet in front of him and much to Richard's dismay - Bobby disappeared. "This was back in the days when you could get a cab in Cleveland. Richard needed to get a copy of the Patty Paige book because she was going to be there that night. So he grabbed a cab to Publix on 14th, got the book and headed back to Higbees. "Hundreds of people were waiting for Bobby Kennedy and I couldn't find him. I went into the closet and saw him coming up the escalator. And of course, that's when I came out of the closet!" It turns out that when Bobby was done with the Dorothy Fuldheim show the taping people grabbed him and took him to a luncheon. "Bobby was wonderful. He met about 30 people in 30 minutes and knew each person by name." Years later he was in New York and saw a tremendous amount of paparazzi and realized it was Bobby and Ethel Kennedy at the Plaza. Richard Burton and Liz Taylor were staying in the penthouse and "I can only imagine they were going to visit." Richard wound up in the elevator with Bobby and Ethel and was able to say "lovely to see you again" but nothing else would come out. When Food TV's Rachel Ray recently came to Joseph-Beth to promote her book Richard pre-sold 300 books just from people buying a spot in the line to meet her. Mark Brown, the author of the Arthur series and a graduate of the Cleveland Institute of Art brought in over 600 people. Of the Harry Potter phenomenon Richard says it is not his style of book, but he is "thrilled that so many children are reading." And of course, his collection includes a Harry Potter book signed by its author J.K. Rowling. He has never read the DaVinci Code and some people find that appalling. "They think I should read every single book." He says he is "a very fast skimmer, but a slow reader. People often ask if I've read every book I sell or own. I tell them there are 49,000 new books published yearly. Of course I haven't read them all." But again, the hype that accompanies the DaVinci Code is wonderful because he is, after all, in the business of selling books. Currently there is a major exhibit at the Main Library downtown of Richard's personal collection including many autographed books and photos from Hollywood's finest. His exhibit covers the entire 3rd floor of the library. He is presently promoting Gloria Vanderbilt and has promoted her mother and sister in the past. Her husband, Wyatt Cooper is the father of CNN's Anderson Cooper. Getting Anderson to come to Cleveland is one of his current ambitions. In addition to Anderson Cooper there are a few authors that Richard has always wanted to get into his stores, and for some it is too late. One was Tennessee Williams. He knew that Williams was in New York once and what hotel he was staying at. He went to a very fancy store and bought wine and snacks and wrote him a letter introducing himself and inviting him to Cleveland. "I paid 2 arms and a leg for that basket. I walked it down to the hotel and gave it to the concierge to deliver. I never heard from Mr. Williams and have often wondered if the concierge enjoyed my basket." 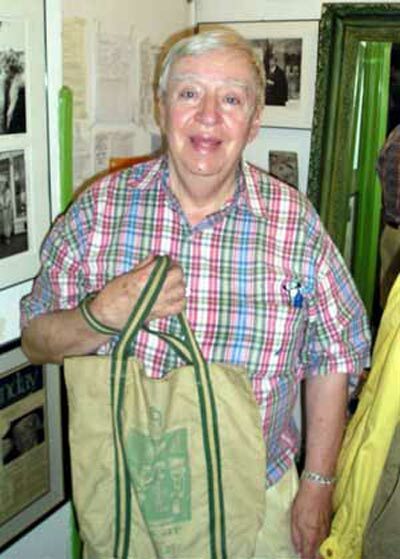 Just last year he met Mrs. Corns who lives in Tennessee Williams house in Key West. 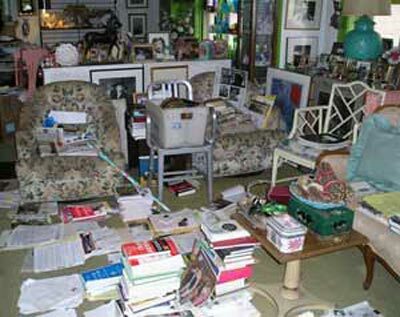 He had the opportunity to visit and was absolutely beside himself with the realization that he was in Tennessee Williams' house, standing in the very study where he wrote. Elton John is another favorite whom Richard wants badly to meet - and probably will. Few things that Richard sets his sights on do not come to fruition. Richard has a deep personal admiration for Truman Capote. He has seen the movie, Capote, three times and read In Cold Blood at least six. Meeting him was a highlight of Richard's amazing life. "I have been struck by Truman Capote, addicted actually, since I was very young." 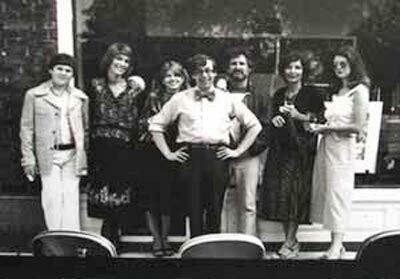 Rabbi Silver's wife, Adele, brought Capote to CCC and Parma High School. Richard finally had the chance to meet him. "In his little squeaky voice he said 'Hello Richard. So glad to meet you.' I will remember it always. "After seeing the movie he did not discuss it. Instead he went home to process and digest what he had seen. He even met Dr. Seuss and put on a Yrtle Burger luncheon for 900 kids. 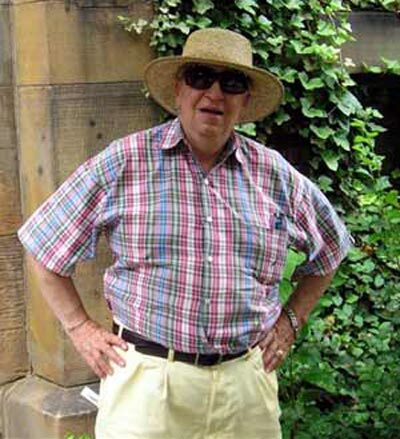 One of the most remarkable aspects of Richard and his never-known-to-be-shy personality is his acknowledgement that he does not live in a bubble and his willingness to share with anyone and everyone who is willing to accept his largesse. "With age come a certain amount of wisdom and insight. Not that I am smarter than anyone else, but I am keenly aware of things that I have seen in my many years and how they affect people. I try to mentor young people and share what I have learned. If they can accept my lessons they will be more open to new lessons and new insights." "Time is the enemy of the 21st Century", he proclaims asserting that absolutely no one has enough of it, and everyone needs more. Although the younger population spends much of it's time "looking at a monitor and then on the cell phone and then back to the monitor" he holds fast to his belief that books are an essential part of civilization. "Books on tape lack the texture of holding something in your hand and experiencing the journey the author takes you on." In addition he prefers hardback to paperback. "Maybe I'm a book snob, but it just feels so much better to hold a real book as you read it instead of a paperback." He's very please at the great number of book clubs springing up around the country, their popularity seems to be growing rather than diminishing. Richard has a wonderful relationship with God that helps him through the hard times. "I do well between me and God managing the hard times, but I just love sharing the good times." In the last 14 or 15 years Richard has been very active in his church, St. Paul's' Episcopalian Church. He is a lector and usher, a Stephen's minister and he is part of the men's consult. He describes being a Stephen's minister as the best thing he has done in his adult life. The Stephens ministry is about care giving and reaching the poor, bereaved, lonely, hospitalized, out of work, or virtually any one in need of comfort. "I get so much more than I give" "I've had a blessed life and I know it. I never presumed, assumed or took for granted anything." He starts every morning with an acknowledgement of gratitude for the day he has been given and the life he leads. Although some things going on in the world make him wonder and give him pause to reflect he describes himself as "a cockeyed optimist about everything." He would like to see teachers stressing the basics of civilization and living in a society. "Words like please, thank you and May I just aren't used. I'm not asking for high-faluten snobbery or anything, just basic kindness and consideration." He is deeply concerned about global AIDS, "if we don't address this issues some small countries simply will not exist in 2010." He is also concerned about global hunger and looks to the United States to help wherever it can. "There was no instant gratification when I was young. When I was in grade school in the 40's we listened to radio in class. There was no television or instant pictures of what was going on in the world." He goes on to say that in high school and college he had no idea what terrorism even meant, never mind experience the fear of it. "I don't have the solution though. The younger generation is forced to deal with it." Drugs are another social issue that plagues Richard. He blames most social issues on drug trafficking and would like to see a "really, really tough campaign to stop drugs. We could do it, I know we could. That to me is just tragic." A winning lottery ticket would mean a home for runaway kids, if Richard was the lucky ticket holder. "I just love children. If I have any regrets in my life it is not having any of my own." Richard has served three terms on the Board of Trustees of the Friends of the Library and helps with events and book signings. He is also on the Board of Trustees of Youth Challenge a West Side group that provides sporting opportunities to physically challenged youth. One on one sports including swimming and horseback riding are emphasized. "I never expected to be a cagillionaire - the money just is not there in this business. But it was never about the money." One of his personal desires is to "leave some kind of toe print in the sand saying I was here." He wants very much to make a difference especially in the lives of young people. "I hope some day when I am on the wings of an angel that people say I mattered and that I was a kind, gentle and good man." "I am the first one to dance on top of a table at a party and I'm big on hugs - everyone needs hugs. But inside I am a very private person." Few people have been to his apartment; it is his sanctuary. Richard has described himself as an excessive person; he never does something half way. "How do you give someone a half a hug?" His friends all know that a confidence placed in him will go to the grave with him. He is fiercely loyal. When someone breaks his trust he is deeply disappointed, but never angry. "It saddens me because trust is so very important. But I cannot be angry." He changes the message on his answering machine every day and you will never hear him say have a "good" day. Instead he encourages you to have a "gentle" day noting that it is important to be kind to yourself as well as others. You can not go to Richard's apartment and not comment on it. It is stacked high with literary treasures that museums and collectors would die for. 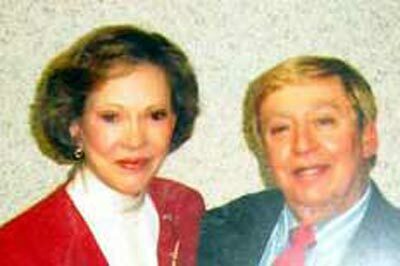 Among a pile of what looks like "normal" mail is a letter from Gloria Vanderbilt, a photo of Richard and one of hundreds of famous people and a notice about the death of his very good, close friends of forty years, George Krile of 60 Minutes. "He was such a wonderful man. He just died and my heart broke. His step mother, Helga Sandburg is also one of my dearest friends and my heart broke all over again for her also." There are invitations to parties most of us wouldn't dare even dream of being invited to, and books - my goodness the books! Hundreds if not thousands of books occupy every open space. Bette Davis is well represented throughout the apartment as well. As is Jacqueline Kennedy and, of course, Truman Capote. And there are hats. 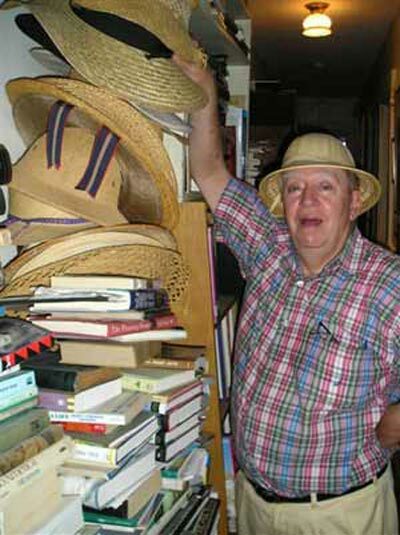 Richard loves hats - all kinds of hats. It is seldom you will see him without one. 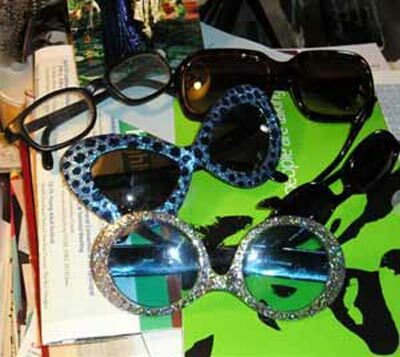 He also loves big - really big - glasses ala Elton John and they are found throughout the apartment as well. 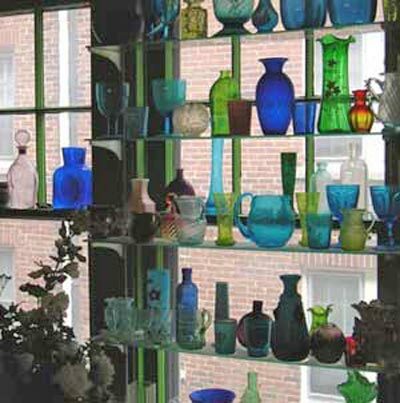 There is a phenomenal glass collection "I think it is second only to my book collection" and a beautiful assortment of angels. "I believe in angels. Doesn't everyone?" 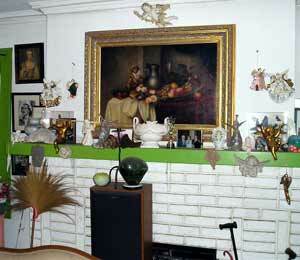 There are two prominent angels, one on either side of his mantel. One represents his mother, the other his father. "My mother was the best friend I ever had. She died 17 years ago and when I am really down I go back to Bellevue and get down on my knees and talk to her." 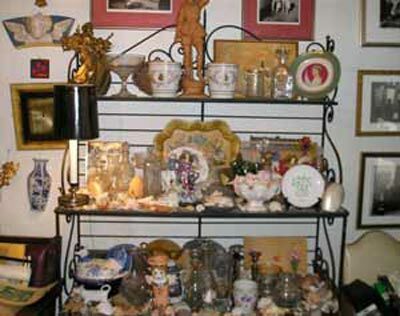 You could look at it as clutter, but in reality it is a treasure chest and Richard knows every inch of it and just where to find everything. Richard has been written about in many local publications and even in Les Robert's latest book, "We'll Always Have Cleveland." "It's been a good ride so far. I've lived one of the best lives ever!" Of his current position at Joseph-Beth Booksellers at Legacy Village (where he works Tuesday - Friday), he thinks the staff there is great; very personable and very helpful, but "Like everywhere else in the business world, they are tied to a computer. It's just the way of the world, but not my world." 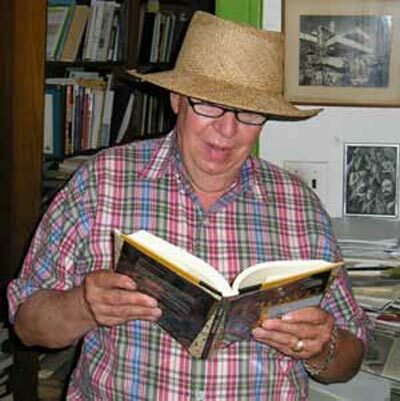 If you ask Richard for a title, author or even give him a brief description of a book, he will take you right to it, without the aid of the computer. Richard has a personal motto "If I'm not having fun, I don't play." Although he is not in a committed relationship at the moment - he's "still looking!" "I've had a blast in this business for 51 years and I'm looking for a lot more." Talking to Richard is a gift - not just for the remarkable stories he tells, but because of his nature. He is sincere and kind and willing to share. He loves life and God and all of God's creations. It is impossible to be around him and not have some of his joy rub off on you. And if you are lucky enough to be hugged, somehow you just know you have been hugged by an angel. Copyright � 2005-2008 ClevelandSeniors.Com. All Rights Reserved.